Home » What Is Your Home Garden Worth? Your home garden is worth good money. Even if you have a small garden that yields a handful of crops every now and then, it is still an investment that took hard work to develop. Therefore, your garden has value, regardless of its size. The question is how much your unique garden is worth and how you can enhance its value. 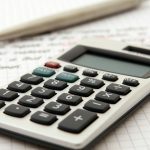 Let’s take a quick look at the basics of garden valuation. Most gardens generate enough food to save the typical person about $500 each year. Sadly, Americans spend nearly $45 billion a year for ornamental landscaping and a mere $2 to $3 billion on food gardens. There is a common misconception ornamental landscaping is essential for selling a home. In reality, gardens are just as important as ornamental landscaping in the context of home value. Even if saving money on food and consuming high-quality organic vegetables are not your primary concerns, having a garden still makes sense as it is a valuable amenity that can remain at the property across posterity with minimal work. In general, gardens typically add about 6% to a home’s value. However, the value of your home’s unique garden hinges on a number of factors. Everything from the size of the garden to the types of vegetables grown in it, whether it is organic or relies on pesticides and other factors dictate the garden’s value. The easiest way to determine the value of your garden is to compare the price of your vegetable output based according to market pricing and compare it to the cost of the gardening supplies and labor. 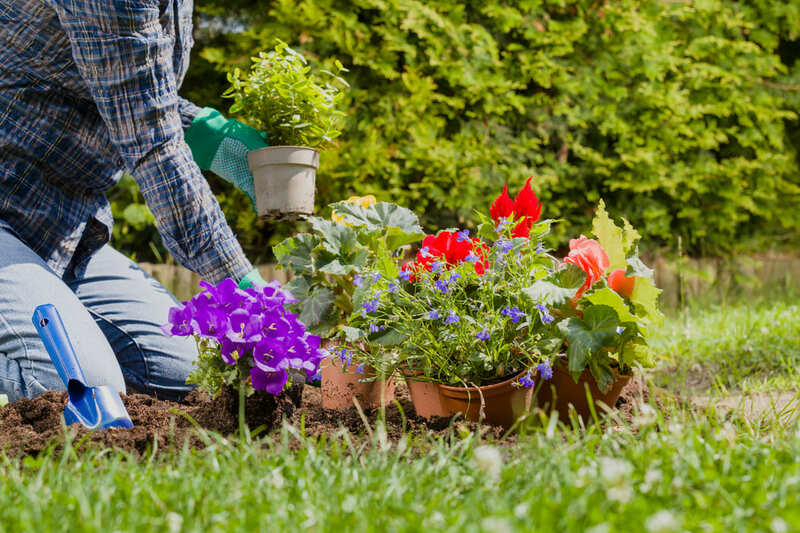 Quantifying the total cost of gardening necessities such as seeds, water, mulch, fertilizer and gardening tools is easy as long as you keep your receipts. However, quantifying the cost of the time and effort you invest in your home garden is more challenging. For simplicity’s sake, let’s pretend you would pay a gardener minimum wage to care for your garden. Multiply this wage times the number of hours you spend working in the garden to calculate the cost of labor. Add the annual cost of gardening supplies and labor together and subtract this total from what your garden’s bounty would sell for on the open market across the year. The number you are left with is the value of your garden for that year. This value does not represent the garden’s value in the context of your home’s sale price as the garden will produce food for years if not decades. Multiply your garden’s yearly value by at least 5 to 10 to get a sense of its true value to the property from the perspective of bidders. The value of your garden is not solely determined by its output. The appearance of your garden also matters a great deal, especially to prospective home buyers. If your garden looks cluttered or untidy, clean it up. A well-presented garden really does have that much more value. Alternatively, a poorly maintained garden has the potential to detract form home value. 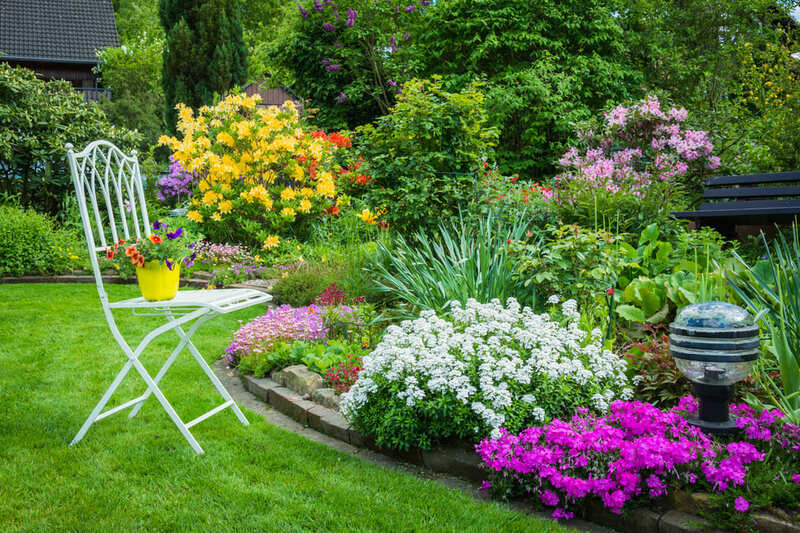 Sprucing up your garden after storms and the winter season will prove especially important as this is when gardens tend to be damaged and aesthetically unpleasing. Cut back the dead growth, clean up the fallen leaves and remove debris. If possible, position seating near the garden for optimal visibility. Some property owners with especially large gardens go as far as placing chairs and tables in the midst of the garden’s walkways and other open spaces. Finally, consider adding gates, walls or fencing to secure your garden. Extra security makes the garden that much more valuable as it ensures all the hard work and money invested in this space will be well-protected.